It's October, the month for spooky movies and scary tales. 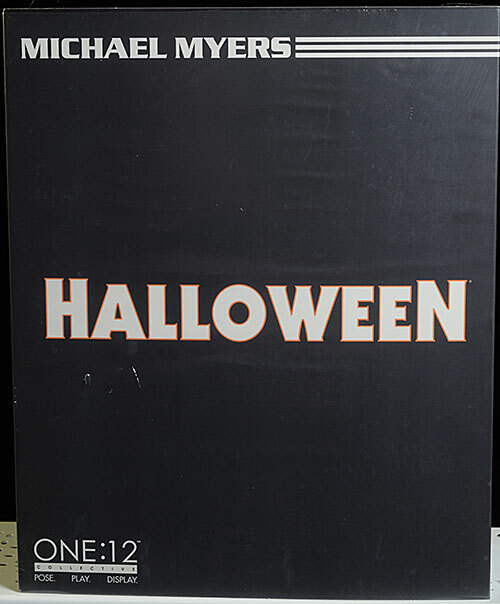 Halloween is one of my favorite holidays, and there are lots of great movies based on the celebration. Some, like Trick 'R Treat (if you haven't watched it, go do it now) fly under the radar, but the film who shares its name with the holiday is certainly no stranger to anyone. 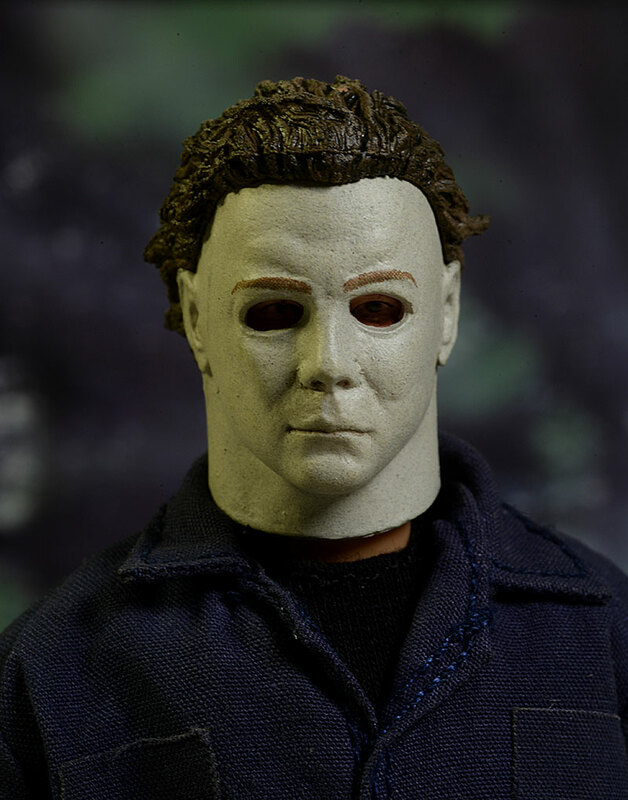 Michael Myers is one of the most famous modern horror icons, and the original film was perhaps Carpenter's finest, although you could make an argument for several others. Unlike the Jason and Freddy franchises, I don't think any sequel has come close to the original in quality, although we have a new contender debuting this month. I'll give it a shot, but it's got big boots to fill. 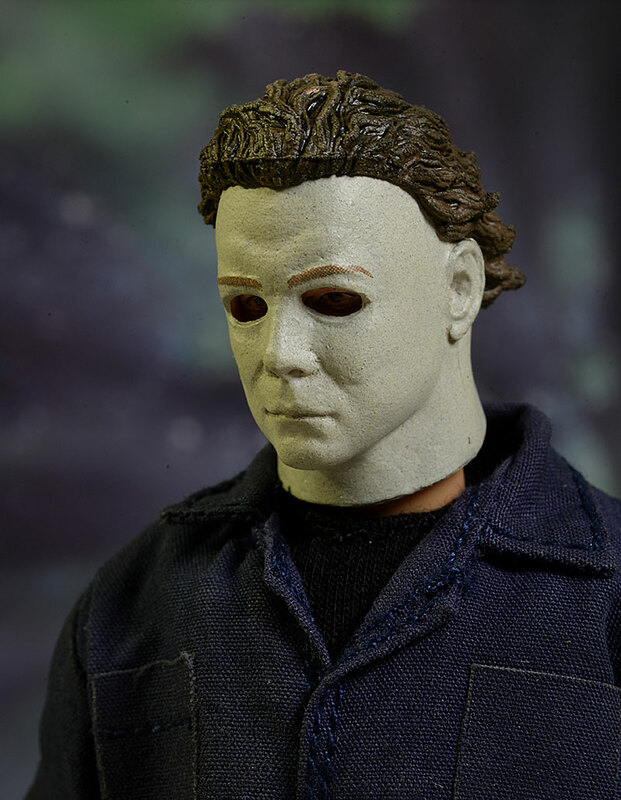 Mezco has done their share of Myers collectibles, and now they've added him to their terrific One:12 Collective series of action figures. This guy just started to ship, and will run you around $80 depending on the retailer. Nothing surprising here, but the packaging is sturdy and very collector friendly. No reason to damage anything, and the plastic trays inside the box hold the contents safely. There's even a plastic sheath over the outer box to prevent rub marks and scratches during shipping. The white marks you see in the photo below are actually on this plastic covering, not the slip cover itself. We all know the story of Michael's mask - it's actually a simple Captain Kirk mask they picked up at a local store. It's basic nature, with a white face, slick hair, and little definition, was the perfect cover up for Michael. They've done a good job capturing the look here. Let's first remember the scale - these figures are small. 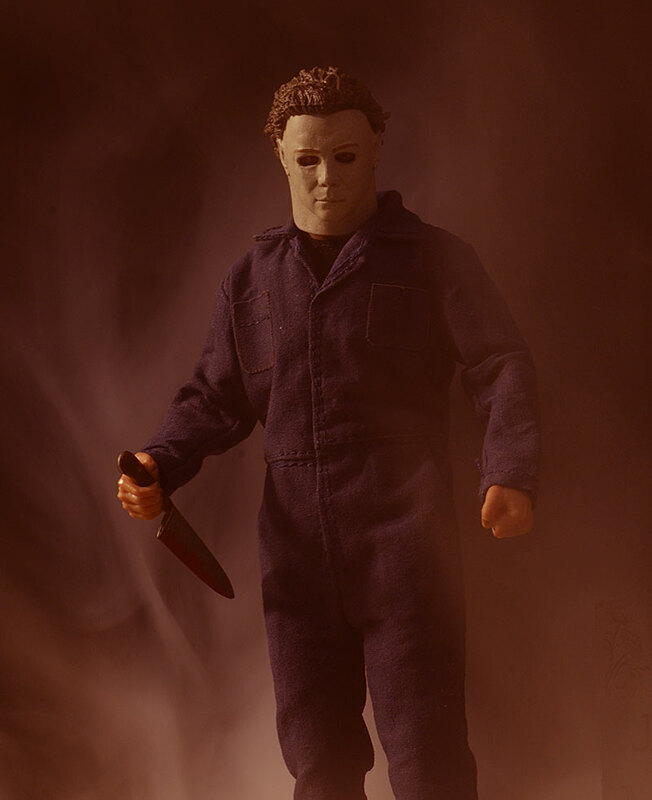 Michael stands just 6 1/2" tall. The mask is sculpted as a separate piece (not removable) with eyes clearly visible underneath. The neck of the mask sticks out from the neck of the character, but if you look at old screen stills, this is actually pretty accurate. The slightly rough texture is also pretty accurate. The head does seem about 10% or so too big for the body, however. This bugged me in just about every pose. My other big issue is with the hair. The mask had this weird, lumpy, fake hair, and they've done a decent job recreating it in the sculpt. But there's an ugly mold line right along the front of the hair, and it messes up an otherwise excellent portrait. There's technically a second portrait, this one permanently under the sheet. It's not much of a sculpt, however, with only the eyes visible. It's going to have more of an effect on the Accessories and Outfit scores. Mezco is pushing the boundaries with the paint quality in a 1:12 scale with this series. This is another excellent example. There's not a ton of paint detail, however, due to the particular character design. The white mask looks good, and they've added depth and detail to the hair. The eyes hidden behind the mask (and under the sheet) are straight and clean, and smaller details like the lips and blood stains look great. The eyebrows are a smidge wonky, but it's fairly minor. The glasses over the sheet face could be a little cleaner too, but overall the paint work is well above average. The underlying body works well, although there is some restrictions due to character design. The neck doesn't have a ton of tilt and lean, thanks to the edges of the mask. You can still get a little though, which adds some nice personality to poses. The shoulders, elbows, and wrists were definitely tight, and you'll want to make sure the elbows are aligned properly before you start cranking on them. You can get some good arm poses, but you'll need to work with the joints a bit first. The hips, knees, and ankles allow for short to medium stances, but the overalls limit the depth of the stances a bit. The sculpted boots look great, and the two piece design gives you plenty of rocker movement in the ankles. The torso bends and turns too, but I found it a little tougher than I expected considering the basic costume. Overall the articulation is good, but I couldn't get every pose I wanted. He has a nice assortment of extras, although it's not quite as much as we normally see with their $80 releases. 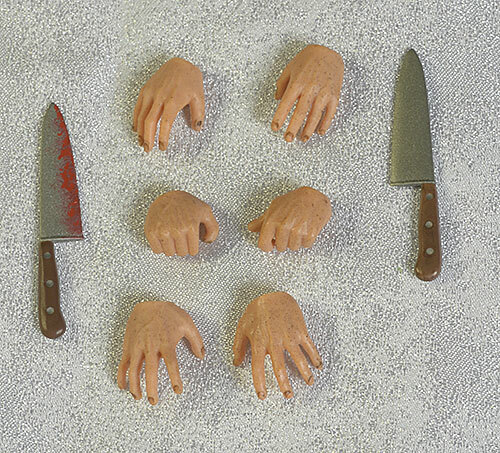 He has eight hands in total: he comes wearing a set of fists, and there's a set of relaxed hands, splayed hands, and a set of knife holding hands to swap in. They pop on and off easily enough, and I had no fears of peg breakage. His weapon of choice is a big kitchen blade. He has two versions - bloody and clean. He has two larger accessories as well, including a light up Jack-O-Lantern. More on the light feature in the next section, but the sculpt, scale, and paint work are excellent. The design comes right from the movie, including the cut line from the mouth to the nose. 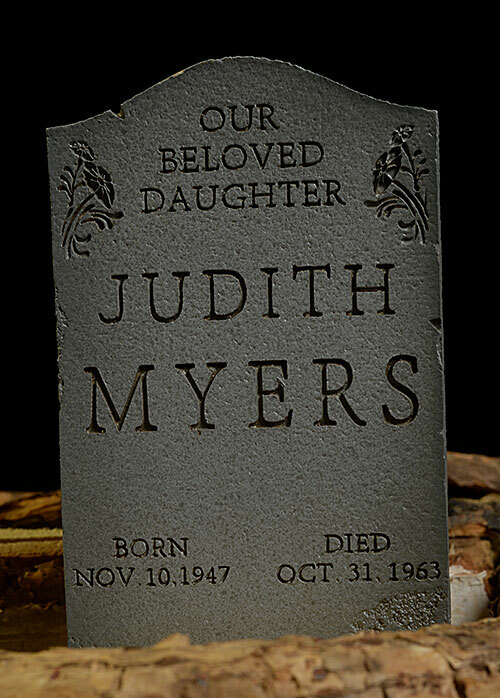 He also has the tombstone from his sister's grave, done in a nice, heavy polystone. Again, scale is decent, and the sculpt and paint work are excellent. He finishes up with a standard Mezco stand, which includes a foot peg and a larger, clear support rod. 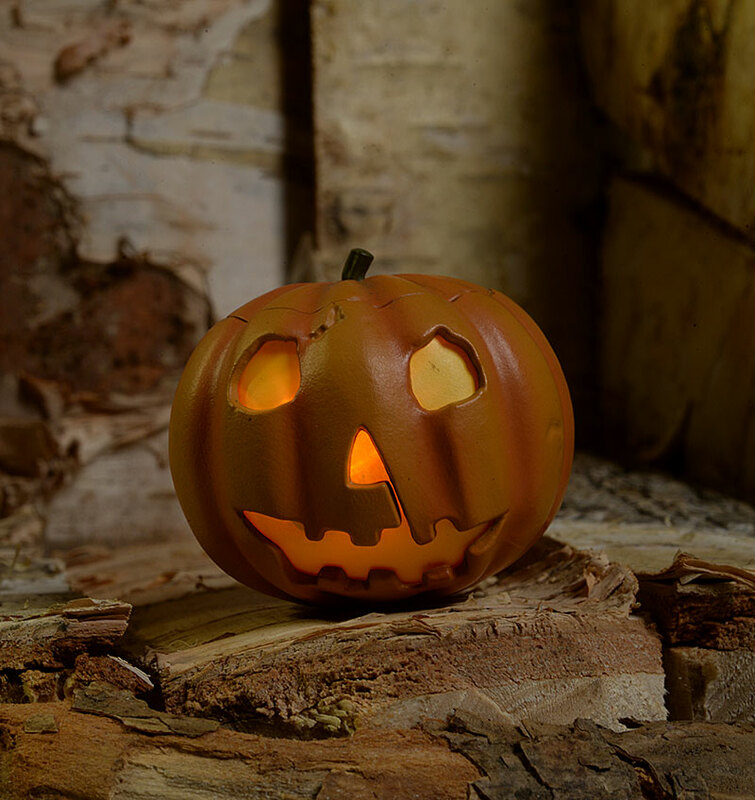 The pumpkin lights up, flickering (yes, flickering!) as though a candle is inside. The top of the pumpkin pops off, and inside is the switch and battery compartment. Two batteries are included. I don't mind having the compartment hidden this way but it is a bit annoying to get at the buried switch. The carved holes are backed with an orange plastic. This diffuses the light, giving it more of a glow. While the light isn't super bright, you can still see it in normal lighting (see the photo below), and when the lights are off, it looks great. And yes, the bulb is designed to flicker! The standard outfit is pretty basic - black t-shirt with coveralls. The sculpted boots are the best part, with a ton of detail and a great two piece design. But while the tailoring on the coveralls is great, they are fairly basic in design. He comes with a second 'outfit' as well. 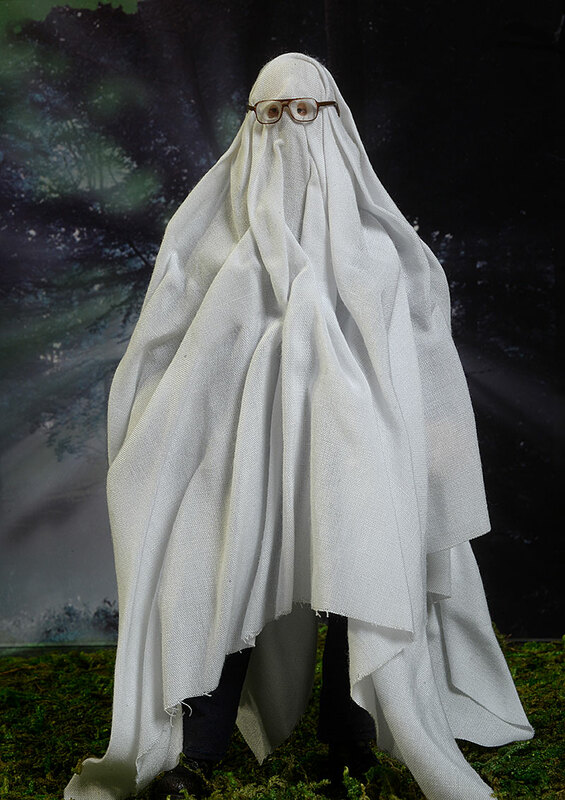 You can pop off the standard masked head, and pop on a head permanently covered with the white bed sheet and wearing the glasses. While it's a great idea, the starched folds and layers on the sheet are probably not the most realistic representation. The edge of the sheet needed a hem too - it's already unraveling at the edge. Eighty bucks is the new normal for the One:12 line. I'm not loving the price increase, but it's still within an average value range when they provide enough extras. Not much. 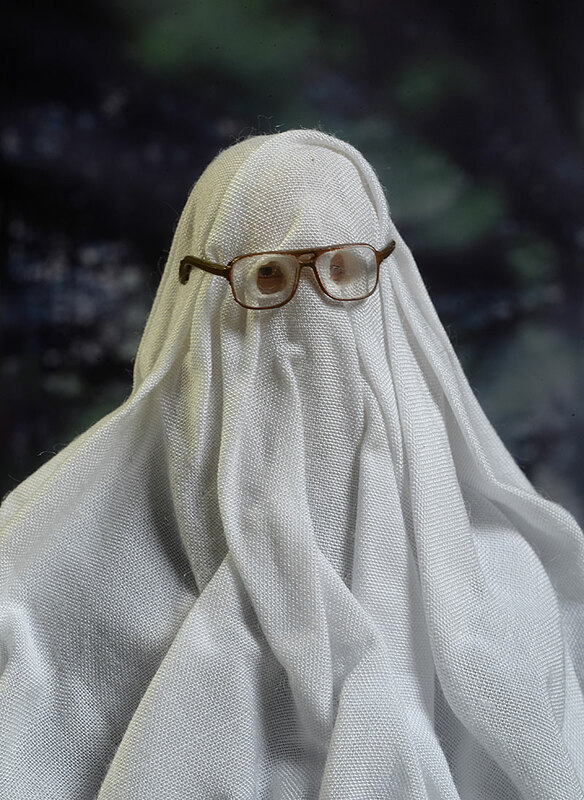 Don't squeeze the glasses when you're attaching or removing the 'ghost' head. Otherwise you should be good to go. 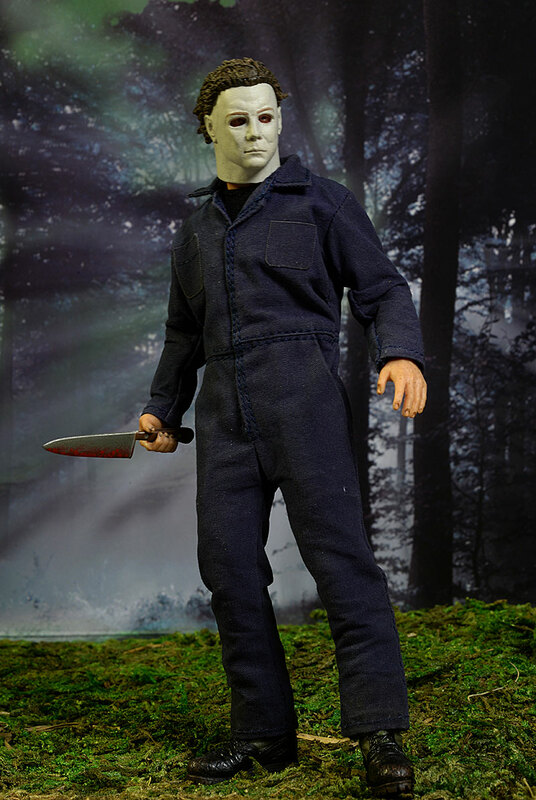 There have been plenty of Michael Myers figures over the years, and NECA has done a particularly good job with the license. 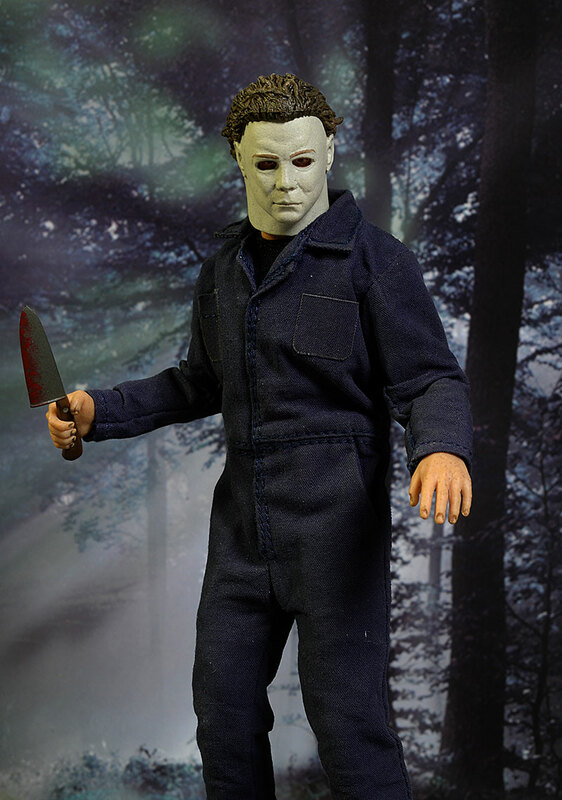 But this is a character - and a concept - that's perfect for the clothed One:12 series from Mezco. 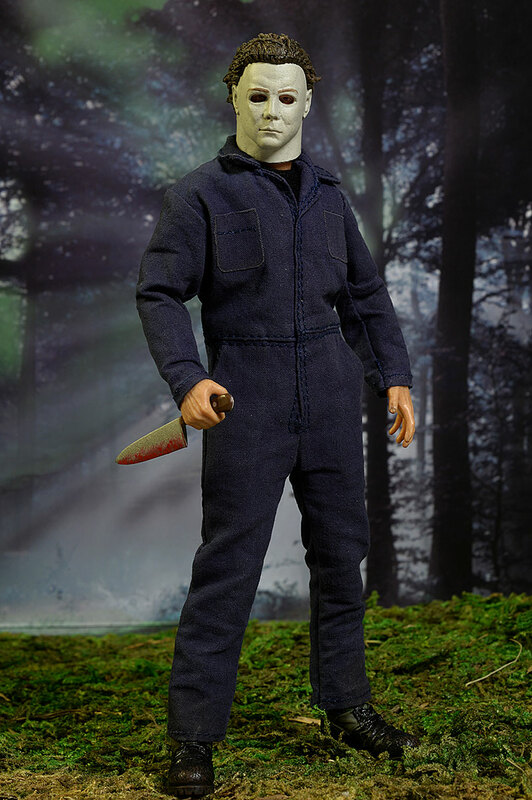 While I have a few nits with this guy, I'm overall very happy, and I really look forward to them continuing the modern horror theme with Freddy, Pinhead, Jason, and others. - Entertainment Earth has him for $80, but that includes free shipping. 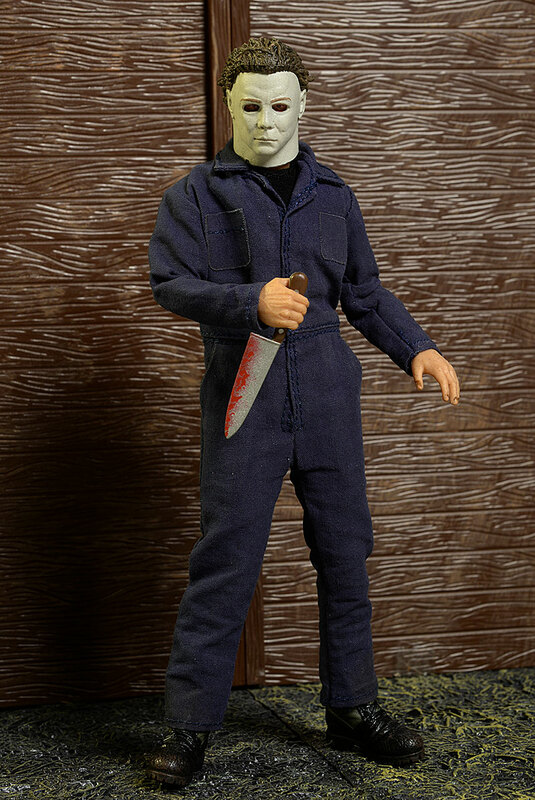 We've seen plenty of Michael Myers figures over the years, including the recent ThreeZero 12" version, and Sideshow's 12" version from long ago. 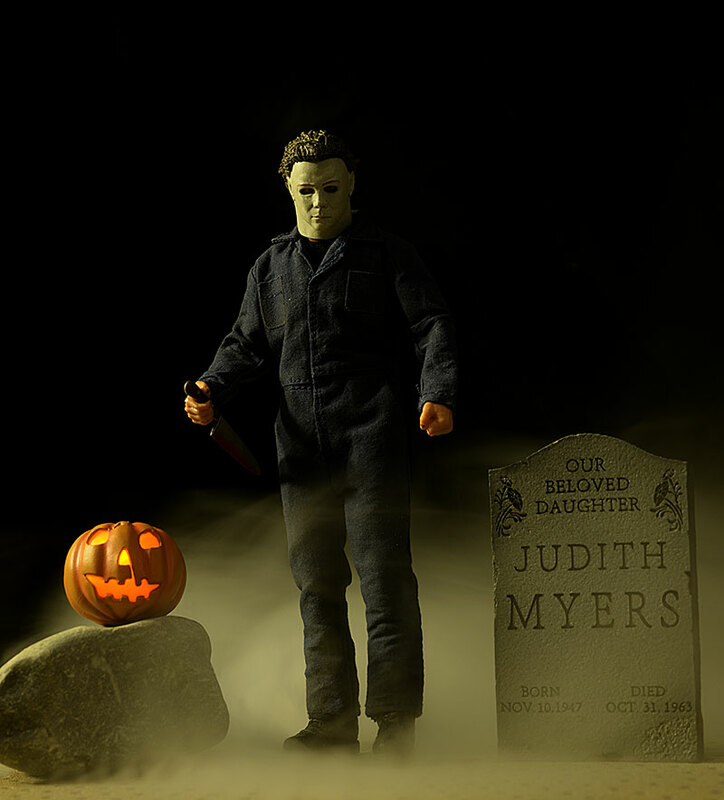 Lots of people have done smaller versions, including Mezco and McFarlane, but my favorite of all time is the Myers/Loomis diorama from NECA.